My good friend, Melissa, is getting ready to have her second baby girl! Eek! Chris and I desperately want to give Bradley a little brother or sister one day, but the thought of it scares me so much. TWO kids? One is hard enough; I can't even imagine. And my mom had FOUR. Oh my goodness, I'm getting anxiety just thinking about it. But even though Melissa is days away from her due date, she still had my little family over for brunch the other weekend. 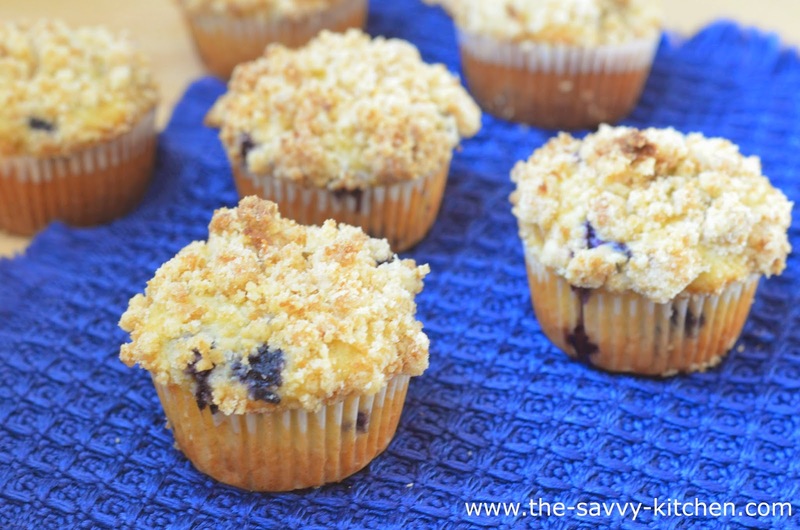 I made these blueberry muffins since I knew both the adults and kids would love them, and they certainly did. They were just as good as bakery muffins. 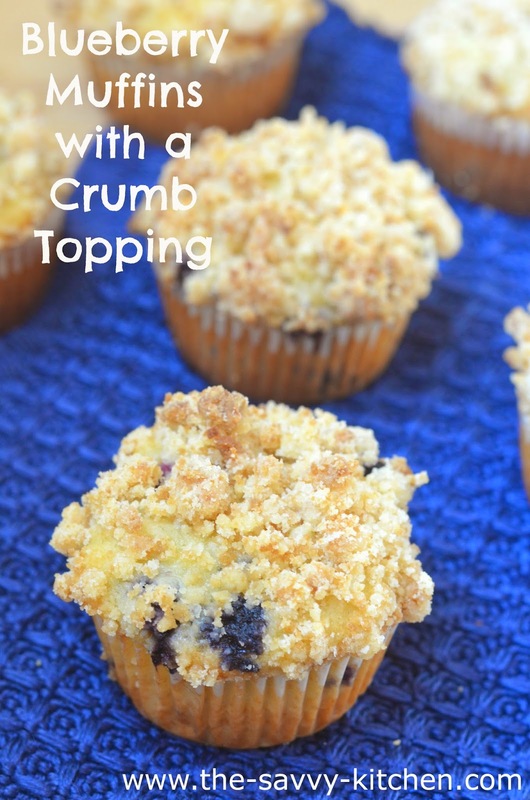 They were light and moist, and the crumbs were a sweet, delicious topping that I was obsessed with. I'm so glad I made extras to keep at home because I ate these for breakfast the next four days. And I plan on making them again VERY soon. Enjoy! Preheat oven to 375 degrees. Add muffin liners to 18 muffin tin cups and set aside. Crumb Topping: Combine the flour with the brown sugar, granulated sugar, baking powder and salt. Stir in melted butter, then use a fork to lightly mash the mixture until it forms pea-sized clumps. Set aside. Muffins: Whisk 1 3/4 cups flour with the baking powder and salt. Set aside. In another bowl, combine the sugar, eggs, and canola oil and beat with a handheld mixer at low speed until combined. Beat in the whole milk and vanilla. Add the flour mixture all at once and beat on low speed until the batter is smooth. Combine blueberries and 1 tbsp. flour in a bowl. Stir to coat the blueberries with flour. Fold the blueberries into the batter. Spoon the batter into the muffin cups, filling them about three-quarters full. Sprinkle the crumb topping evenly on top of each one. 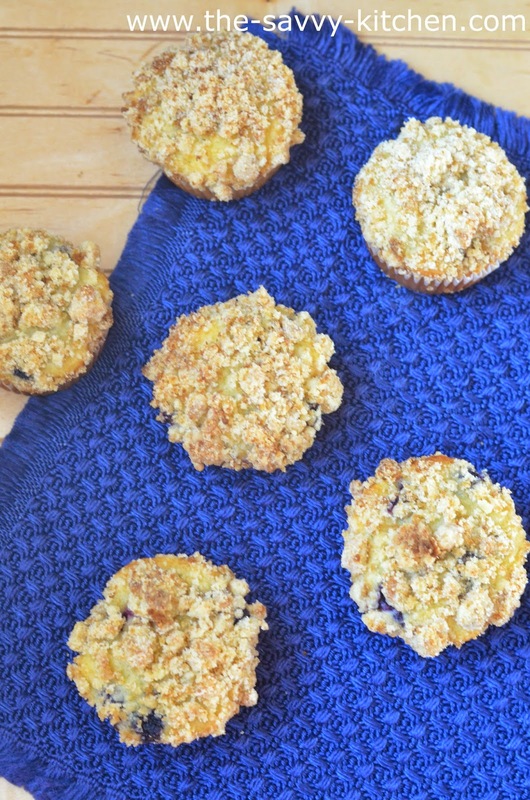 Bake for about 30 minutes or until muffins are golden. Let cool in pan for 10 minutes before serving.